The Northeast Maglev Company has announced a high-speed train station at Mount Vernon Square neighborhood where D.C. travellers can ride the super fast train which can travel at 311 mph. According to a recent report released by The Northeast Maglev company, which is pushing for the new train system, two other station options in NoMa Gallaudet have been excluded from the train project. Port Covington in Baltimore has also been ruled out as a potential station site while optional sites of Camden Yards and Cherry Hill are being considered. Another proposal includes an underground station at BWI/Marshall Airport. Riders can take the high-speed train from D.C. to Baltimore in 15 minutes, as per The Washington Post. The train will also extend to New York from D.C. one day. Superconducting Magnetic Levitation (SCMAGLEV) is considered to be the most advanced and fastest ground transportation system in the world. Traveling at 500 km/h (311mph), the train system will enable a 15-minute journey from Washington, D.C. and Baltimore. Between Washington, DC and New York City, the journey will take one hour. An Environmental Impact Statement (EIS) is being prepared by the Federal Railroad Administration (FRA) and the Maryland Department of Transportation-Maryland Transit Administration (MDOT-MTA) in order to evaluate the potential impacts of constructing and operating a high-speed SCMAGLEV system between Washington, DC and Baltimore, Maryland, with an intermediate stop at BWI Airport. 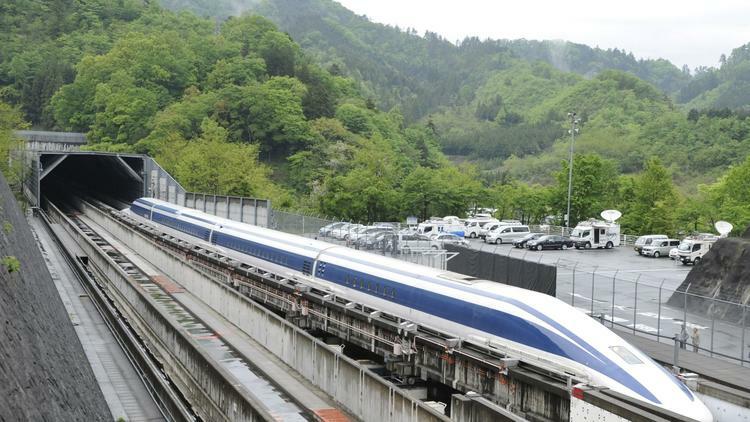 At present, a maglev train is operational in Japan. An intermediate underground stop is planned for the train at BWI Thurgood Marshall Airport between D.C. and Baltimore. The tunneling for the maglev train could begin in 2020, according to planners, and the train could be made functional by 2027, according to The Washington Post.